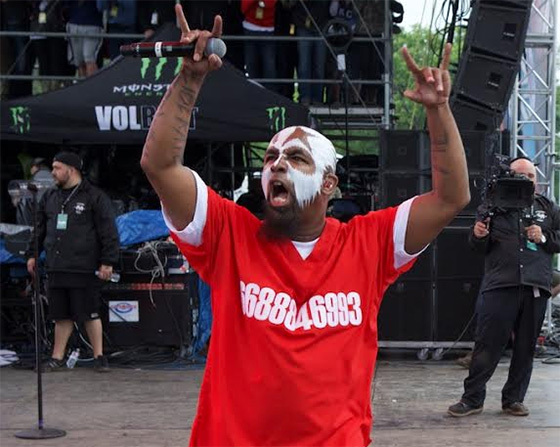 Tech N9ne spoke with Kansas City’s 98.1 KMBZ, sharing a hilarious recent encounter between him and one of the interviewers. Tech had a chance to kick back and talk movies on an interview with Trend KC, sharing a story of his humorous encounter at the movie theater with radio host Zak Burns. Due to a slight misunderstanding and being engrossed in the movie, Burns accidentally thought Tech introduced himself as Stanley, leading them to joke about how the name could become his new alias. Along with embracing his newly discovered identity, Tech also describes his drink of choice for the night: The Cadillac Margarita, consisting of a margarita on-the-rocks, no salt, Patron Silver, Grand Marnier, and a splash of orange juice. He also takes a minute to discuss how even though people were skeptical about his genre-crossing appearances, he knows what he brings to the table and continues to crush music festivals across the country, including Rockfest, Rock On The Range, and KS 107.5’s Summer Jam 2015. Tech knows he’s a force to be reckoned with and he’s not close to being done! What other music festivals have you seen Tech N9ne completely take over? 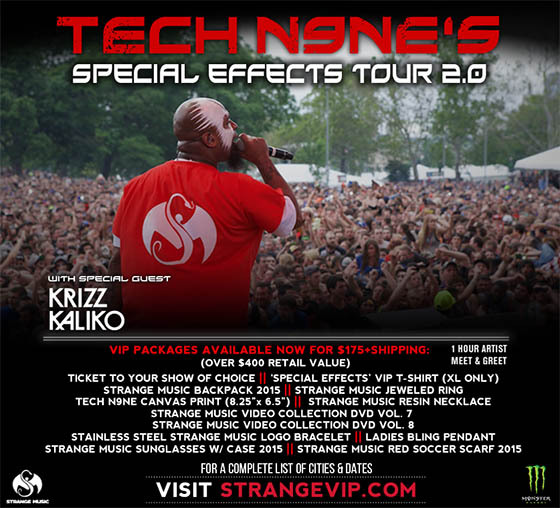 TO TECH N9NE’S SPECIAL EFFECTS TOUR 2.0!